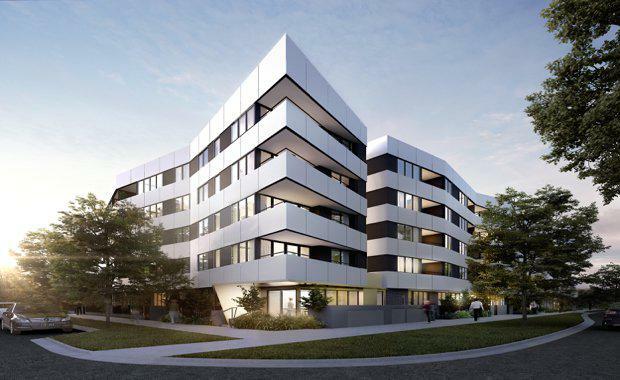 Williams Landing in Melbourne’s west is experiencing a wave of local property sales with two thirds of Cedar Woods’ Oxford Apartments purchased by buyers from the Wyndham area. 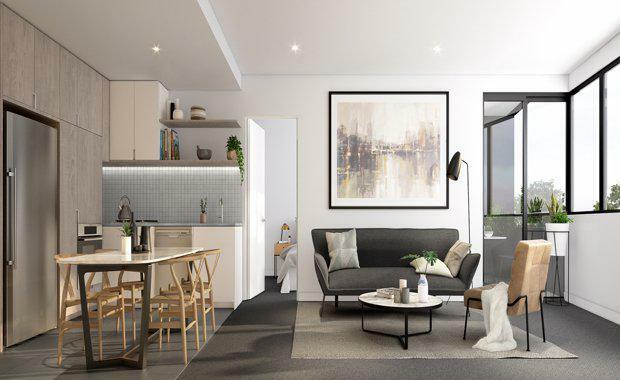 Oxford Apartments has been highly popular among buyers from Wyndham suburbs Truganina, Point Cook and Williams Landing, with a mix of downsizers, first home buyers, upgraders and investors purchasing in the suburb’s second apartment building. Only 20 kilometres from the CBD, the Oxford Apartments provide easy access to the William’s Landing train station and the freeway. Oxford’s immediate proximity to the Williams Landing Shopping Centre with its services and amenities, plus the suburb’s population growth and emerging employment opportunities are all driving strong demand from owner occupiers and investors alike. The Victorian State Government’s planning strategy, Plan Melbourne, has earmarked the city’s western subregion as an area that will support future population growth. The area is expected to accommodate an additional 400,000 people by 2031. Mr Archer is not surprised that Cedar Woods’ latest development has sold a high number of apartments to local residents. “We have had a number of long-term Williams Landing residents purchase an apartment in the Oxford project. Local residents are seeing firsthand the changing nature of the western suburbs, population growth and amenity, which is driving demand for apartments,” Archer says. Since residents first moved in during 2009, Williams Landing has experienced strong price growth and demand. According to an Urbis report conducted in 2016, the area experienced impressive long-term median price growth, an average of 13.7 per cent per annum over the previous decade. The Urbis report also states that the area experienced rental growth of 5.4 per cent per annum for apartments and units. The weekly median asking rent for houses in Williams Landing registers 17 per cent above that of the median asking rent for the City of Wyndham, indicating the premium that the suburb attracts over its neighbouring suburbs. With one-bedroom apartments starting at $289,000 and two-bedroom apartments starting at $365,000, the potential for a high yielding investment is attractive for local investors. According to a rental appraisal prepared by Raine & Horne Williams Landing, one and two-bedroom apartments may achieve rental yields in excess of 5%. Oxford is the second apartment development to launch at Williams Landing. In 2015 Cedar Woods launched Newton Apartments, which was sold out in just six months and has recently been completed. “Newton was one of the first apartment projects in the south-western corridor and the rate at which the apartments were purchased underlined the demand for apartments from owner-occupiers and investors in middle-ring suburbs,” Archer says. Cedar Woods has recently commenced selling the second stage of the Oxford Apartments with a selection of one and two bedroom apartments, three town homes and ground floor retail included in the release. Construction of Oxford Apartments has recently commenced following 90 per cent of stage one selling out.